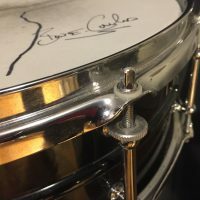 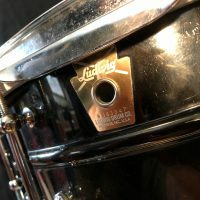 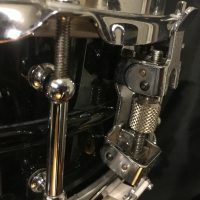 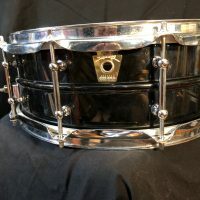 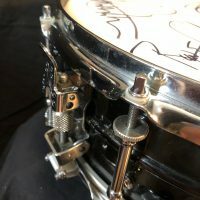 This Ludwig 1990s 5×14 tube lug Black Beauty snare drum was owned and used by drummer Bun E. Carlos on recordings and live performances with Cheap Trick between between 1999 and 2005. 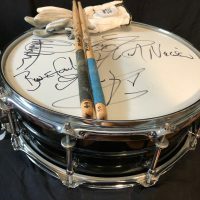 The drum is signed by all original members of Cheap Trick. 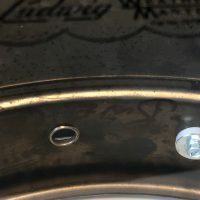 The drum is in as received condition. 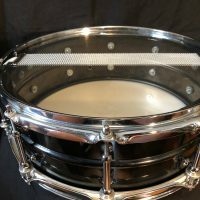 Many collectors prefer a historical drum to be left with all of it’s original “road grime”. 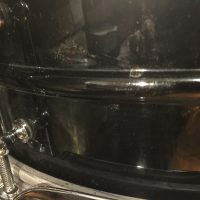 This could be easily cleaned if the buyer preferred. 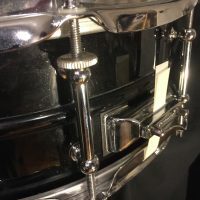 The drum shows some scuffs and scratches from 6 years of touring however it is in perfect playing condition. 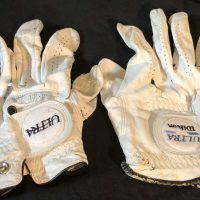 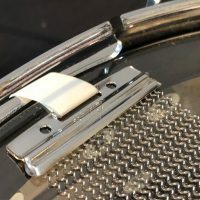 There are no dents, holes or modifications. 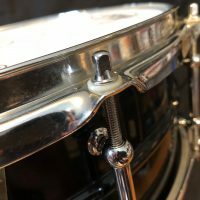 The photos depict the condition of the drum very accurately. 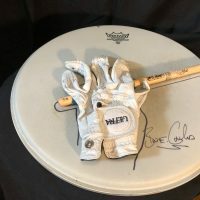 Included is a drum head signed by Bun E. Carlos with the outline of his left hand and stick to define the location of the best cross stick position. 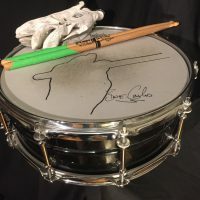 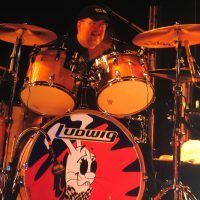 Also includes a pair of Bun E. Carlos signature sticks, a signed Ludwig poster that features this drum plus a pair of stage used sticks and gloves. 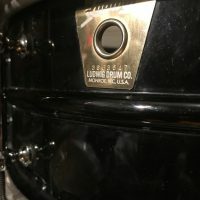 The drum was acquired directly from Carlos. 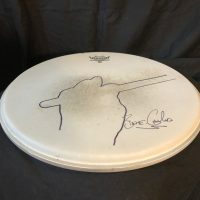 COA signed by Carlos and seller. 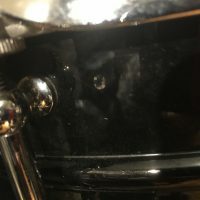 I will ship internationally.